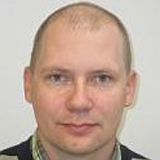 Jussi Nummelin has architected and operated numerous software platforms and applications during his 15+-year career. Having worked for companies ranging from mobile operator Elisa, to telecom systems and mobile phone provider Nokia, to systems integrator Digia, Jussi has gained deep and wide experience on creating and running highly scalable fault-tolerant systems. Jussi is now one of the core engineers building container orchestration at Kontena, Inc.
Docker containers have brought great opportunities to shorten the deployment process through continuous integration and delivery of applications and microservices. This applies equally to enterprise datacenters as well as the cloud. Jussi, an experienced software architect, will use this presentation to discuss solutions and benefits of a deeply-integrated deployment pipeline using technologies such as container management platforms, Docker containers, and the drone.io Cl tool. Jussi also will demonstrate deployment of a CI/CD pipeline using container management, as well as show how to deploy a containerized application through a continuous delivery pipeline.